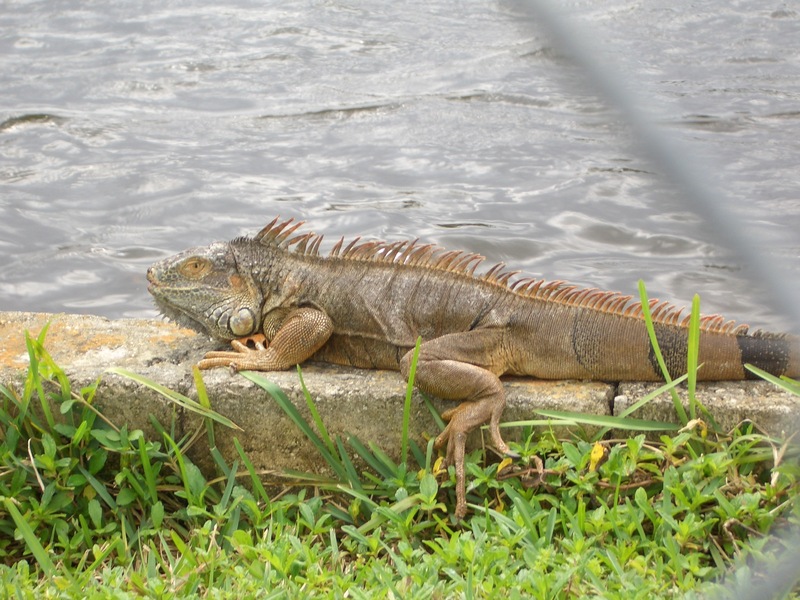 These guys are completely wild and like to hang out on the retaining wall on our lake. I think they’re kind of neat, although my mom nearly passed out one day when she saw one creeping through the yard. 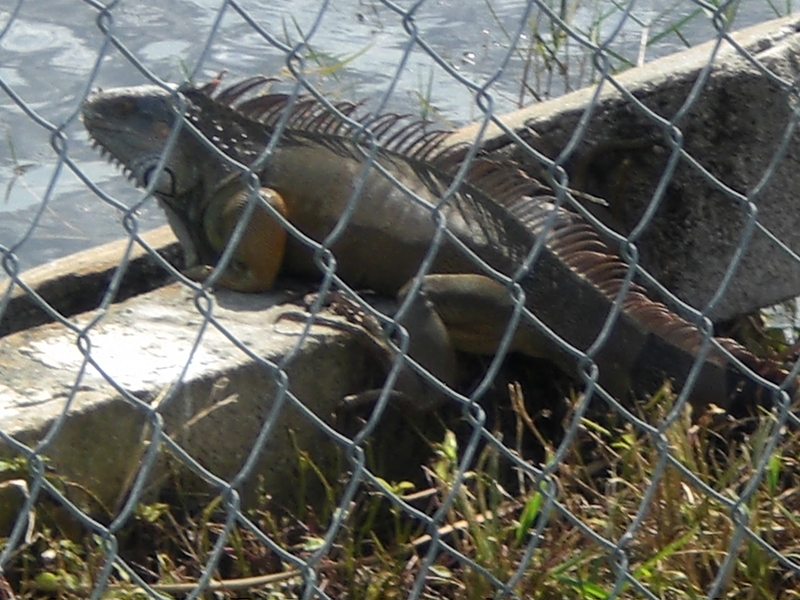 They’re very skittish though and usually won’t let you get too close. 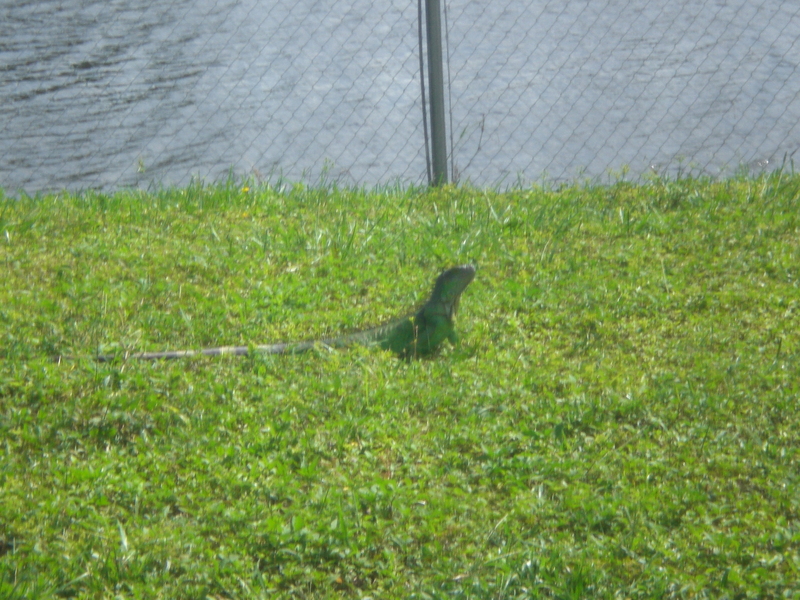 Billy Bob has been “active” with one of the girls recently because there’s a fresh little green iguana about 18 inches long that’s been hanging out near the wall. I imagine his girlfriend is Bobby Sue because Bertha’s still looking a little too young and thin to be Billy Bob’s girl.